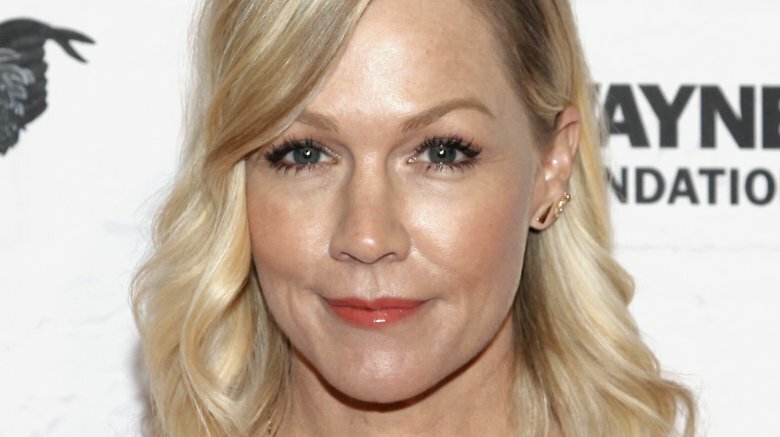 Jennie Garth and her husband, David Abrams, have called it quits after less than three years of marriage. On Friday, April 6, 2018, the former Beverly Hills, 90210 star's husband filed for divorce in Los Angeles County, Entertainment Tonight reports. According to court documents obtained by the publication, the actress' ex cited "irreconcilable differences" as the reason for the split, and listed the former couple's date of separation as Aug. 29, 2017. At the time of this writing, a number of details about the legal docs have yet to be determined. However, ET noted that Abrams has requested a termination in the court's ability to grant spousal support to Garth. Garth, 46, and Abrams, 36, have been married since July 2015, having met the year before on a blind date. 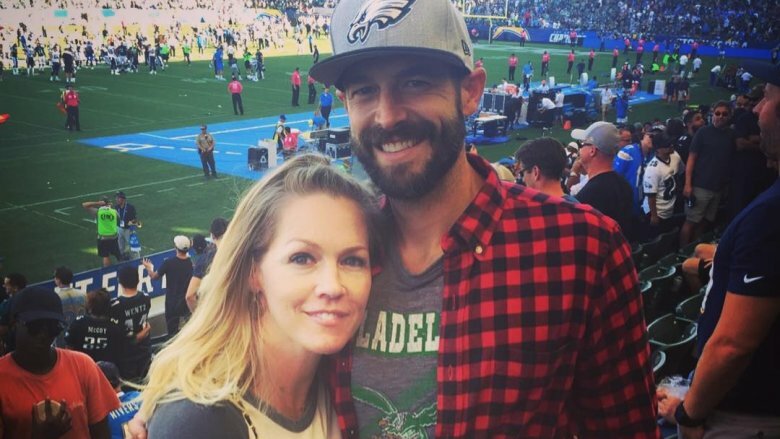 As Nicki Swift previously reported, rumors that they were headed toward divorce first broke in November 2017, when a report circulated that the two were no longer living together. As an insider told Us Weekly, they were "still trying to make it work" at the time, "but they haven't been living together." The source added, "They love each other, but like every marriage, it takes work. Jennie is taking the time to focus on her girls and herself." Around that time, the What I Like About You actress shared a since-deleted message about staying strong with her fans. "Resilience means the capacity to recover quickly from difficulties," she had written on Instagram (via People). "But it doesn't mean we'll never experience sadness. It proves we're able to spring back into shape after struggle has pushed us further than we ever imagined we could go. Resilience allows us to overcome and bounce back from heartache stronger and more flexible than before. I am resilient You are resilient." This breakup will mark Garth's third divorce. Prior to this marriage, she was hitched to actor Peter Facinelli. The former couple split after 11 years together in March 2012, and share three daughters: Luca, 20, Lola, 15, and Fiona, 11. Earlier this week, Garth was spotted celebrating her birthday with her children. "They're my everything, always there for me thru thick and thin, they teach me new levels of love and understanding everyday," she wrote on Instagram, captioning a sweet snapshot of herself with her daughters. "Loyal and full of faith in me. unwavering and incredibly strong. i am forever grateful for them 😍."